Active Stillness….A space where you are given the opportunity to be genuinely supported, heard, empowered and guided by an experienced and kind professional. 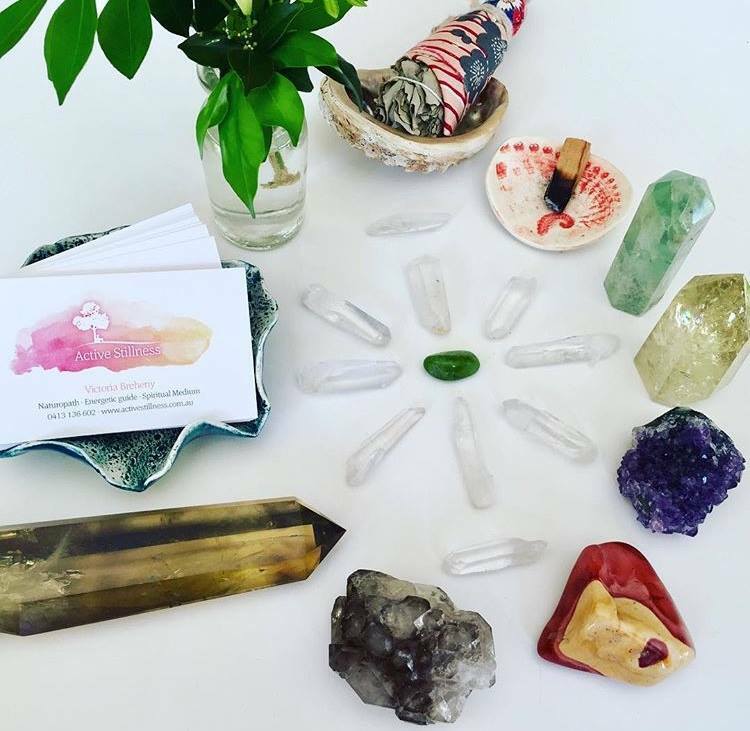 Founder and Owner, Victoria Breheny offers crystal healing, sound therapy, herbal medicine, energy healing, body readings, intuitive counselling and spiritual guidance from her Bangalow and Byron Bay rooms. Victoria has a incredible ability to ‘read her clients energy’ and warmly encourages all who work with her to understand the possible story, pain and drama they may find themselves in, and, together, create a way out. Victoria is a renowned and cherished healer, within Australia, and has been actively offering her support and guidance as a qualified healing professional for the past 18 years. Each and every session allows for insights and healing on many levels. “My work as a Naturopath, Energy Healer & Guide and Intuitive Crystal Healer stems from my ability to read an individuals energy field and then encourage people to return to the heart of themselves.To return to center. I see myself as a valuable instrument in my client’s life; a person who offers warmth, inspiration, wisdom and kindness, to promote healing and transformation on a deep level. Whether acute or chronic, any condition or symptom you are experiencing, is a message from your body, that it is out of balance. The longer it is left unaddressed, the louder the message will become; unless together we listen, support and re-balance your energy, body, spirit and lifestyle. If you haven’t already connected with Active Stillness on Face book or Instagram https://www.instagram.com/tory_activestillness/ – jump over and join the tribe.